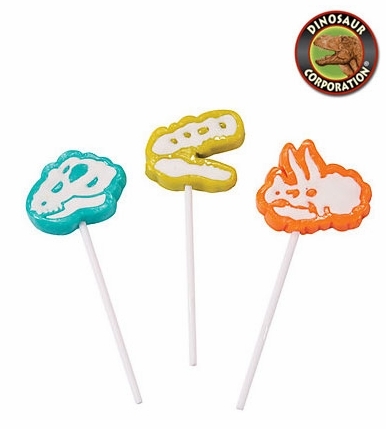 Dinosaur dig candy skeleton suckers are perfect match to your dinosaur party favor bags. � Green apple, blue raspberry and orange flavors. � 2" dinosaur skeleton suckers on 4" plastic sticks. � Total wt. 7 oz. � Dinosaur dig skeleton suckers are individually wrapped.